Stuv 21/95 woodburner wood burning stove installation from Kernow Fires. 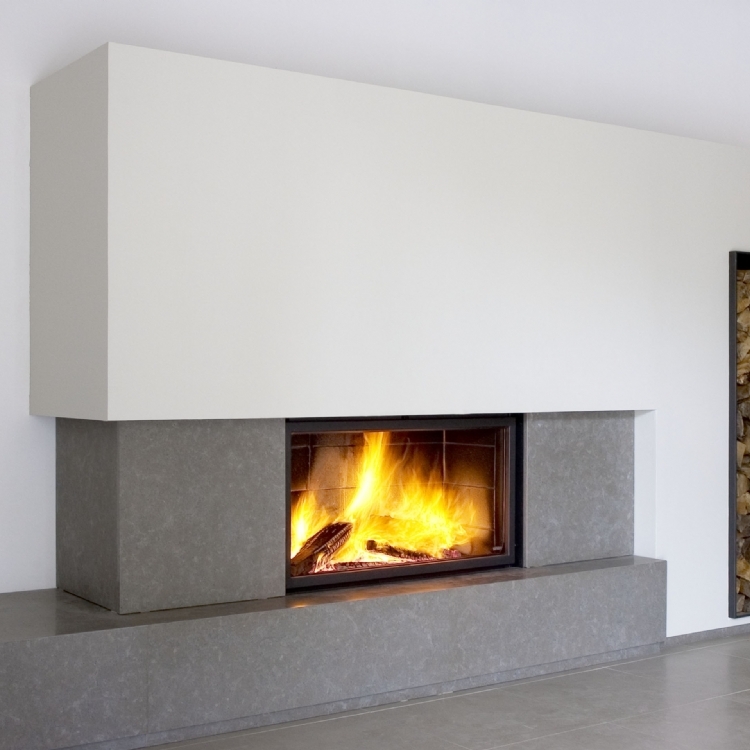 Customer Aspirations: A large contemporary fireplace to act as the focal point of this large double height space. 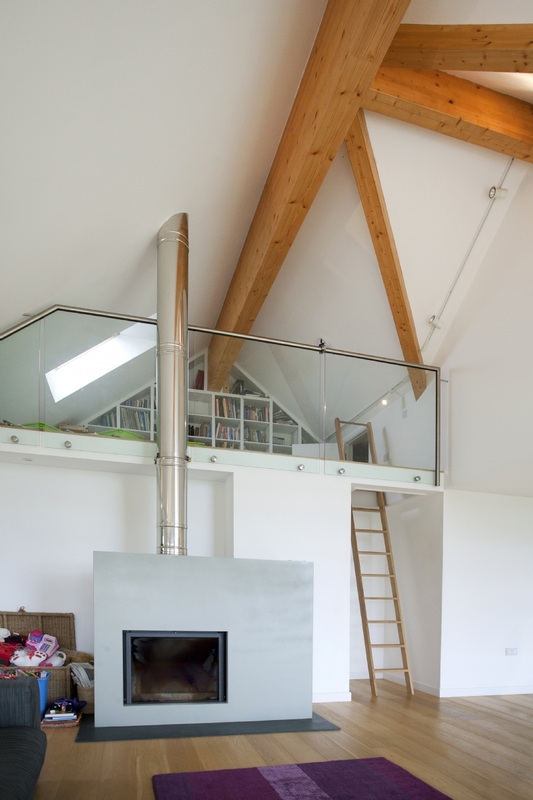 This purpose built fireplace with the Stuv 21/95 in Cornwall was suggested by architects Bazeley Partnership who designed this new family home. 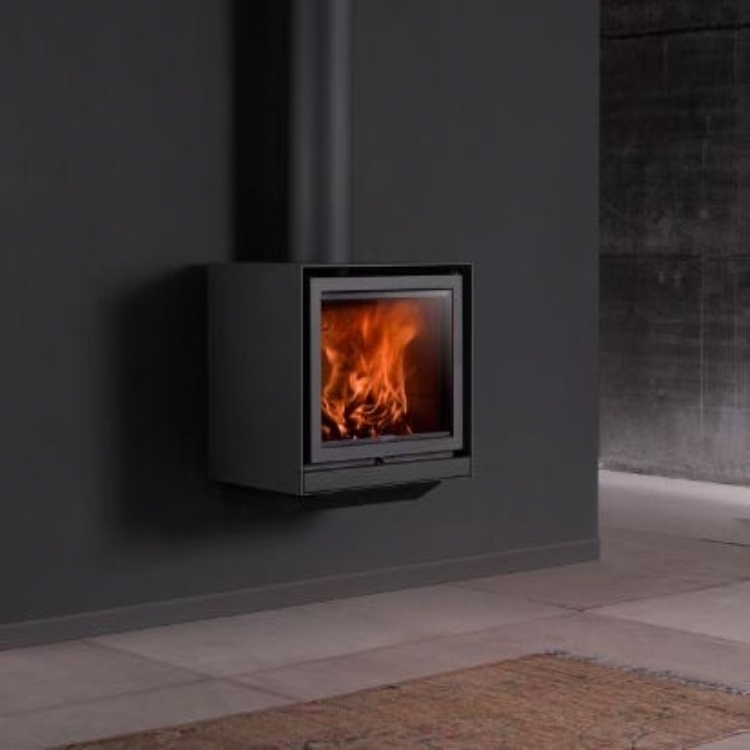 The twin walled flue has become a feature within the room and the fire appears to be freestanding. 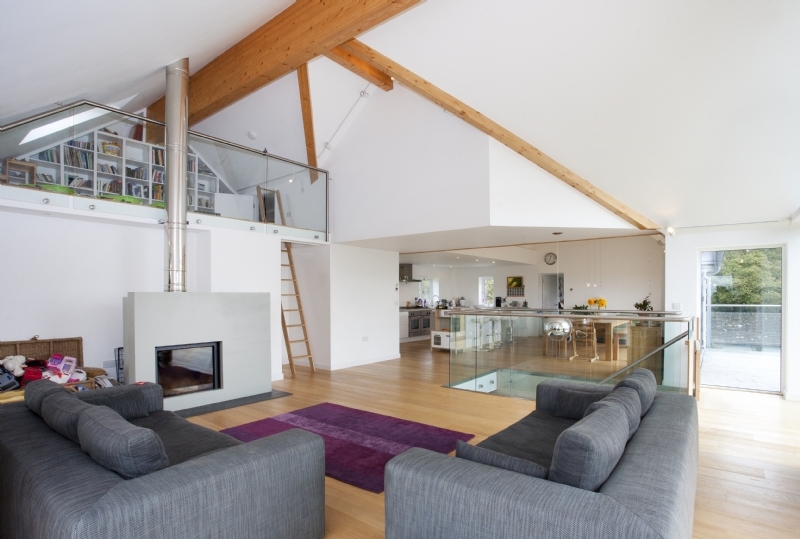 Creating plenty of heat within this large area to keep the whole family warm the bespoke fireplace creates the perfect focal point for a cold winters evening.